What a long day I had today--actually Wednesday! Got a call at 6 AM--my baby brother's wife was in labor, and I headed up to Chicago not long after to greet the little one. But baby was not born until 12:55 AM Thursday. 5. 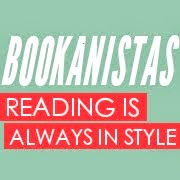 Please be sure to check out what the other Bookanistas are recommending today. Don't forget to stop by Myra McEntire's blog to check out her COVER REVEAL!!!!!!!!! LiLa Roecker dies for DESIRES OF THE DEAD with a fabulous giveaway! Goodreads summary: Kate Lowry didn't think dead best friends could send e-mails. But when she gets an e-mail from Grace, she’s not so sure. Which reminds me. Let's get back to Kate for a minute. I mean, the mystery was great. LOVED the whole premise--the clues, the twists, the danger, and the who-dun-it-what's-gonna-happen questions that drive you forward hunting for answers. There's also a romantic element that adds a lovely degree of tension and intrigue. But I'll be honest--Kate totally made this book. Her voice is so distinct and appealing. She's one of those people you wish you had in your life, just because she would make everything sparkle a little bit brighter...the kind of person that makes you laugh until you pee at everything you probably shouldn't laugh at simply by stating her slightly slanted, unfiltered view of the world. I laughed in much the same way that I laughed reading ANNA AND THE FRENCH KISS or even WILL GRAYSON, WILL GRAYSON--both of these being stories that were taken to the next level of AWEsome by the voices of the protagonists. But Kate's voice is one that alters, too--not the sarcasm or the wit, which is just a natural part of her--but her view of those around her as well as her self-confidence. It's seeing this progression and subtle maturation that keeps her dynamic and fluid, a being capable of change, and thus someone we can care about beyond the laughs. And for me, a book is all about the characters. But lucky for you, THE LIAR SOCIETY has a plot that will leave you guessing and reguessing as well, just as any fabulous mystery should. To Enter to win a Signed ARC of THE LIAR SOCIETY, please fill out the embedded form below which will be emailed to me (mainly so you don't have to expose your email in my comments section). &lt;p&gt;&amp;amp;amp;amp;lt;p&amp;amp;amp;amp;gt;&amp;amp;amp;amp;amp;amp;amp;amp;lt;p&amp;amp;amp;amp;amp;amp;amp;amp;gt;&amp;amp;amp;amp;amp;amp;amp;amp;amp;amp;amp;amp;lt;p&amp;amp;amp;amp;amp;amp;amp;amp;amp;amp;amp;amp;gt;&amp;amp;amp;amp;amp;amp;amp;amp;amp;amp;amp;amp;amp;amp;amp;amp;lt;p&amp;amp;amp;amp;amp;amp;amp;amp;amp;amp;amp;amp;amp;amp;amp;amp;gt;&amp;amp;amp;amp;amp;amp;amp;amp;amp;amp;amp;amp;amp;amp;amp;amp;amp;amp;lt;br /&amp;amp;amp;amp;amp;amp;amp;amp;amp;amp;amp;amp;amp;amp;amp;amp;amp;amp;gt; &amp;amp;amp;amp;amp;amp;amp;amp;amp;amp;amp;amp;amp;amp;amp;amp;lt;/p&amp;amp;amp;amp;amp;amp;amp;amp;amp;amp;amp;amp;amp;amp;amp;amp;gt;&amp;amp;amp;amp;amp;amp;amp;amp;amp;amp;amp;amp;lt;/p&amp;amp;amp;amp;amp;amp;amp;amp;amp;amp;amp;amp;gt;&amp;amp;amp;amp;amp;amp;amp;amp;lt;/p&amp;amp;amp;amp;amp;amp;amp;amp;gt;&amp;amp;amp;amp;lt;/p&amp;amp;amp;amp;gt;&lt;/p&gt; Thank You! Giveaway ends February 6, 2011. Open Internationally! No wonder you didn't respond to my email, I should have gone the texting route. J/k. I know how it is to have outsiders checking in on you during a family shindig. I am glad things went well and I am excited to see your Friday post! Excellent review, btw. Is it easier to write a review for a friend author or an author you think is a rock star? In this case, both are true, right? I didn't enter, because I have this book. Normally, as like a big strong man and dad who totally likes football, sword fights and guy stuff, I would never select a book like this. But Lisa and Laura are amazing, and two of the funniest people I know. So Liar Society, Pemberly Brown, and Kate are all FOR THE WIN! I don't read many mysteries either. But I read the query in Elana Johnson's From the Query to the Call and I really want to read it. Thanks for the review. Ooh, I really want to read this book! I just love the cover, especially the girl with pink hair. Thank you so much! The book sounds fantastic! I heard such great things about this book! I'm not a major mystery fan, but this is totally an exception!! come onnnn randomizer! Pick me! THANK YOU for an awesome review, Carol. I think I might have passed out when you compared us to Stephanie Perkins and John Green. We are SO not worthy. Awww. CONGRATS on your new aunt-ness. You didn't mention if it was a boy or a girl, but happy baby birthday to your little brother. And YAY for Lila and their book birthday. I hope you're getting some sleep. Congratulations!!! Being an auntie is the best thing in the world! Seriously - I've got SIX neices and nephews - spoil 'em rotten and give them back to mom and dad FTW!!! Hey chickie! Stopped by and found this amazing contest - seriously - I'm dying to read Liar Society - L&L are just made of awesome! Great review! This book sounds like it would be an awful lot of fun to read! I would love to win this book! I soooo want to read this book! I can't wait to read this. I entered a contest for it the other day. Let's hope this time I win! Congrats on your new baby nephew (or niece, you didn't say!)! This book sounds exciting^^ I'm one who also likes mysteries. Yay! I can't wait to read this book! Thanks for the chance to win! great review!! I have an ARC staring at me a few feet away and OMG. excited. love them L&Ls. This book sounds like a lot of fun! Love the cover!! I have to say that this book looks like a great read. I keep seeing it all over the net and now I cannot wait to read it. thank you for putting a copy out there. My ARC for this book never showed up and I am SO SO bummed. I know it's going to rock and can't wait to read it. Thanks for the review! I CANNOT wait for this one!!!! SO glad the baby arrived happy and healthy! Yay for LiLa! Sounds like they done good. Which is, of course, to be expected. Since they're awesome. Thank you for the contest! This looks great! Love the review!! I CAN NOT wait to read their book!! LiLa are Awesome and I know their book will be too! Great contest ;o) I hope you are doing well and keeping warm! Sounds fab! And glad the baby got here safe-and-sound. Liar Society sounds really funny. I would love to win a copy. Thanks for the giveaway! Kate sounds like an awesome protagonist. It's been a long time since I've read a YA mystery as well so I'm looking forward to the release of The Liar Society. Thanks for the giveaway, Carol. It sounds great! I can't wait until it's released. Great review! I think you have me wanting this book ten times more now. I can't wait for release! Been looking forward to this one! Thanks for the great giveaway! Sounds like a fun read! Thank you!! I cannot wait to read this book and your review only makes me want to read it more! I'm wild about the voice in WG, WG. I've wanted to read Liar Society for ages, but this takes the want to a whole new level! Thanks! This is so awesome! Thank you for this chance! I'm eagerly waiting for the release of this book! Such a cool contest! Must. Win. Interesting. I dont read many YA mysteries either even tho I love them! Would like to read this! This book sounds great, I can't wait to read it. I'm so excited for this contest!!! I have this on my TBR list. Can't wait to get my hands on it if I'm lucky enough. I'm a big fan of Nancy Drew, so I'm really looking forward to reading this book. And isn't the girl in the cover just plain awesome? I love that pink hair! Thank you so much for the giveaway! Crossing fingers and hope to win!